Busy life? Gone all dang day? Your slow cooker can be your best friend. Sure, take out is easy but a slow cooker lets you have all or part of dinner ready when you walk in the door. Imagine the time savings by having your entree ready. Going to have a houseful of kiddos for breakfast because of an impromptu sleepover? Dig out that slow cooker the night before and breakfast will be ready often before you are! Bought a ton of chicken and don’t know what to do with it all? While you’re cooking your regular meal you can plop some chicken into your slow cooker and either stick it in the fridge to cook slow all day long tomorrow, or cook in your slow cooker while you’re busy and then transfer to a freezer safe casserole dish for heating up at a later date. I have my electricity use set up to inform me if I use over a certain amount per day. This helps me know when the well pump needs servicing OR that I used too much of something in the house. I often get a notice when I’ve used the oven and all the burners on the stove at the same time. Did you know that an hour’s use of an electric oven is three times the cost of eight hours of a crock pot’s use? Yes siree Bob. Today’s slow cookers have come a long way from the green and gold versions from the 70’s. Those often only had on/off low and high. Today’s slow cookers can be set to start later, set to cook for a certain time, convert to warm when finished and with removable inserts for easier cleaning. Did you know that you can cook other things in a slow cooker, besides meats or soups? Yes! With the right recipe you can make yogurt. You can even BAKE BREAD in one! and CAKES! You’ll need an insert but some folks use an old metal coffee can. I don’t drink coffee… does it still come in metal cans? Still not convinced or think it’s too much trouble? Shoot, in the old days recipes for slow cookers always called for prebrowning the cuts of meats. I always was too busy trying to get outta the house in the morning to mess with that. I’ve been using a crockpot for years on end and have never pre-browned meat. 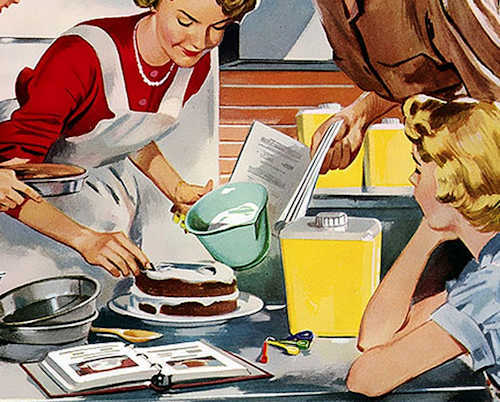 Have a favorite family recipe? You can convert your own recipe for use in the slow cooker. For instance, most slow cooker’s low setting is about 200 degrees. High is about 300 degrees. A recipe will take twice as long on low as it will on high. Quick recipes can probably be converted to 3-4 hours on low or 1-2 on high. However for a roast I’d keep it on low for 8-10 hours. Beans from dry too. Your slow cooker creates a moist heat. Your recipe will retain more moisture than it would if it were baked in your oven. You can typically reduce the liquid in your recipe by half. An exception would be rice. Rice needs what rice needs. Also know what holds up to a long cooking time. 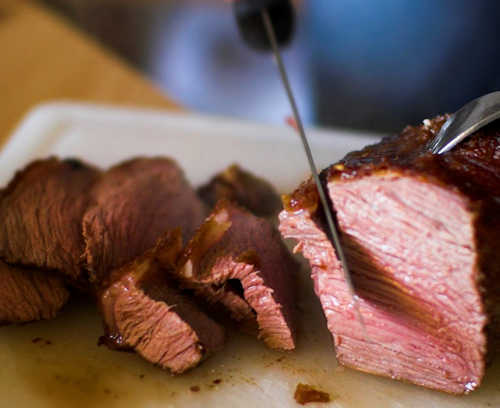 Roasts, briskets, flank steak and dry beans take very well to long slow cooking times. But veggies won’t hold their shape that long. That’s why a lot of recipes have you add the vegetables (or pasta) late in the cooking process. Poultry dishes cook faster and fish even faster. Don’t be afraid to try something new or to adapt a family favorite to your slow cooker. You’ll save time, money (no more drive thru) and feed your family a good heart-warming filling meal.